Dr. Michael Pawlowski was born and raised in Plano, Texas. Dr. Pawlowski completed internships at Fort Belvoir Community Hospital, the University of Houston Eye Institute, and Midland Vision Health Specialties. He was inducted into the prestigious Beta Sigma Kappa International Optometric Honor Society and was honored to speak at convocation for his graduating class. He was a member of the American Optometric Student Association and the Texas Optometric Student Association. During that time he gained experience treating ocular pathology and managing laser corrective surgeries such as LASIK and photorefractive keratectomy. He was selected as the first-ever optometrist intern for Essilor, a worldwide leader in lens manufacturing, where he gained valuable insights into lens technologies and the eye care industry. 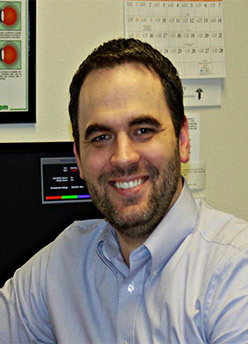 Dr. Pawlowski is a certified therapeutic optometrist and glaucoma specialist. When not seeing patients, Dr. Pawlowski enjoys spending time with his family and volunteering with his local church congregation. He is a proud Eagle Scout and avid dog-lover. Scleral Lenses Can Let Anyone wear Contact Lenses! Scleral lenses are specialized contact lenses that make contact lens use possible for many people for the first time - and they have advantages for normal contact lens wearers as well. Vision therapy is a doctor-supervised, non-surgical and customized program of visual activities designed to correct certain vision problems and/or improve visual skills.